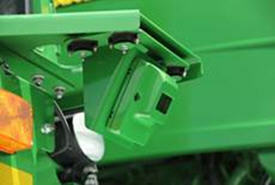 AutoTrac Vision uses a front-mounted camera to see early-season cotton, soybeans and corn at least 102 to 152 mm (4 to 6 in.) high. 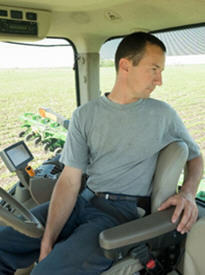 An industry exclusive from John Deere. 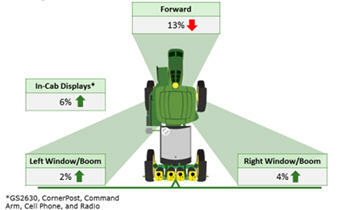 This guidance system helps sprayer wheels stay in the centre of each row and dramatically reduce yield-robbing crop damage, even if planter drift causes misalignment or the AB line from planting isn’t available at spraying. You can spray faster with less fatigue – especially valuable in tight application windows. Increasing sprayer speed from 23 to 29 km/h (14 to 18 mph) can allow an operator to cover more than 20 percent more acres every day. Plus, both systems dramatically reduce yield-robbing crop damage. 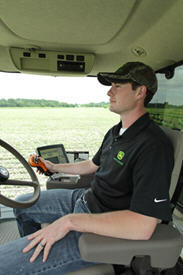 This helps sprayer operators of all experience levels do their jobs with higher productivity because they can better focus on other things besides steering. Each guidance option features its own unique input system. It detects the location of the crop in the row and then signals AutoTrac so it can steer the sprayer wheels precisely between the rows. 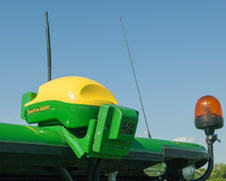 Couple with new AutoTrac™ RowSense™ for reliable guidance in later-season corn. Isn't it time to control your Row Rage? See your John Dealer for details. Performance that pays.